Last Sunday was a day we had be looking forward to. 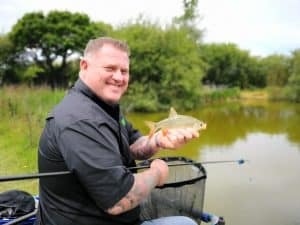 Tony Wynnick, co-owner of Burt Baits was visiting us to look around the facilities, the campsite grounds, the fishing lakes and most importantly stocking up the shelves with Burt Bait products. 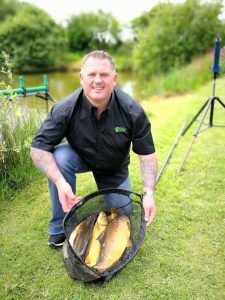 He also brought along a few friends of Burt Baits who use the bait, and had exclusive use of the lakes for us to promote the baits and use as a photo shoot. 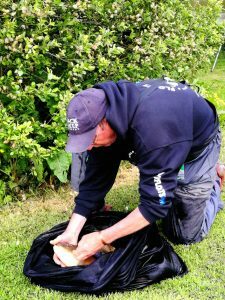 For this exercise keep-nets were permitted and usage of Burts Baits a must. 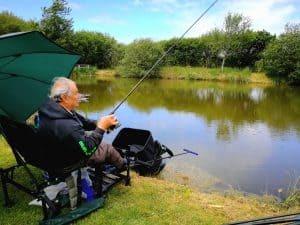 Tony also had some time to fish as well! 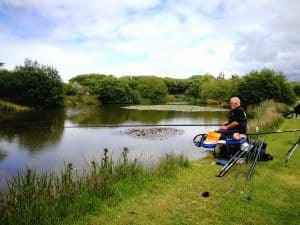 During the morning, Tony and myself (Andrew) walked around the lakes first, where I was explaining the history, the best pegs and the stamp of fish in each lake. 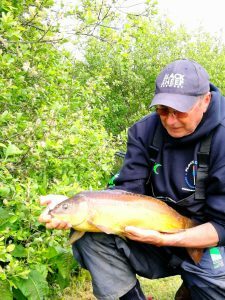 He was then introduced to the rest of my family and had a chat over ideas and development for us and Burt Baits over the coming years. Tony Wynnick, Chris Hancock, Tony Oatley, Phil Bereford and John Dagger fished during the day, although eventually, Tony had to be pulled away from his peg to stock our shop. 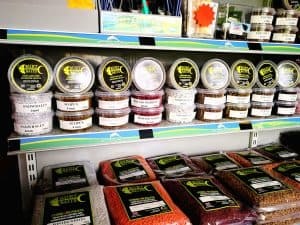 The holiday park shop is now full of high quality Burt Baits and the presentation looks great! 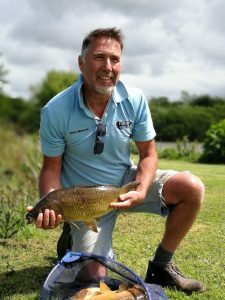 I took the decision to supply Burt Baits after meeting Simon Hales (the other owner of Burt Baits) whilst I was in Essex, after he explained the ingredients of this high-quality pellet and groundbait, I knew it was a bait we must supply, and an agreement was made that Burt Baits would sponsor our lakes. 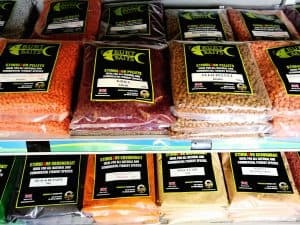 All anglers staying on our campsite using our lake must now purchase bait from our shop, this is to ensure we know the amounts being fed into tour lake and that our fish are best fed the best quality bait around – Burt Baits! 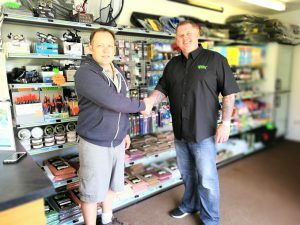 With the shop looking great, we then showed Tony around, looking at the shower facilities, holiday homes, Eurotents and Pods. Later in the day we were ready to take some photos of the catches using Burt Baits. 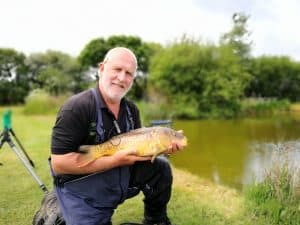 For the few hours fishing they had, the result were great. 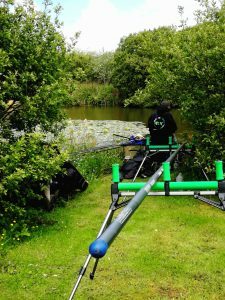 Phil even broke the top section of his pole trying to land a ‘monster’! 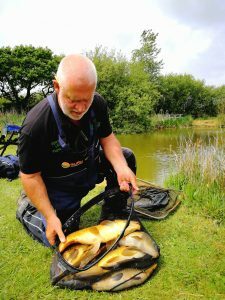 As you can see by the photos, all the carp are in great condition and all the anglers commented on how well the fish fought, I think the carp were just getting ready to spawn, so although it fished well, it does normally fish even better! It was a great day, getting to know Tony and his fishing mates. 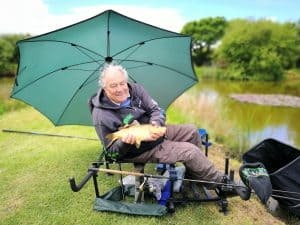 Burt Baits went down to Perran Springs Holiday Park yesterday. Seriously impressed doesn’t even come close to describing the venue. On arrival, the welcome was fantastic! 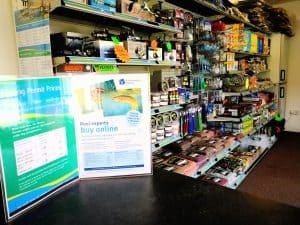 The owners and staff are so friendly and happy, nothing is too much trouble for them. Walking around the park it was apparent that alot of time and effort goes into making sure everything is well kept, clean and tidy. 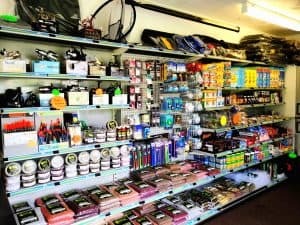 The shop is well setup with all your essentials to hand. 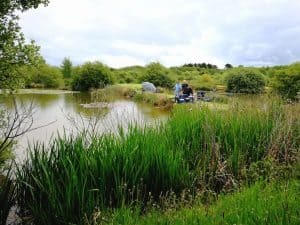 The 3 fully stocked lakes look unbelievable, it would be easy to think you was sat around an old estate lake. 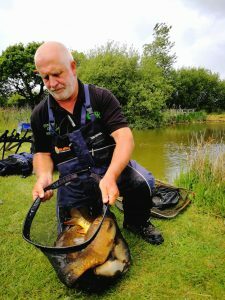 Tony Wynnick , Chris Hancock and Tony Oatley fished a few different methods between them and all had plenty of carp, tench, bream and some monster roach. Every fish fought like it hadn’t been caught before and they were stunning condition. It will be great to see Tony and hopefully Simon back at Perran Springs soon.